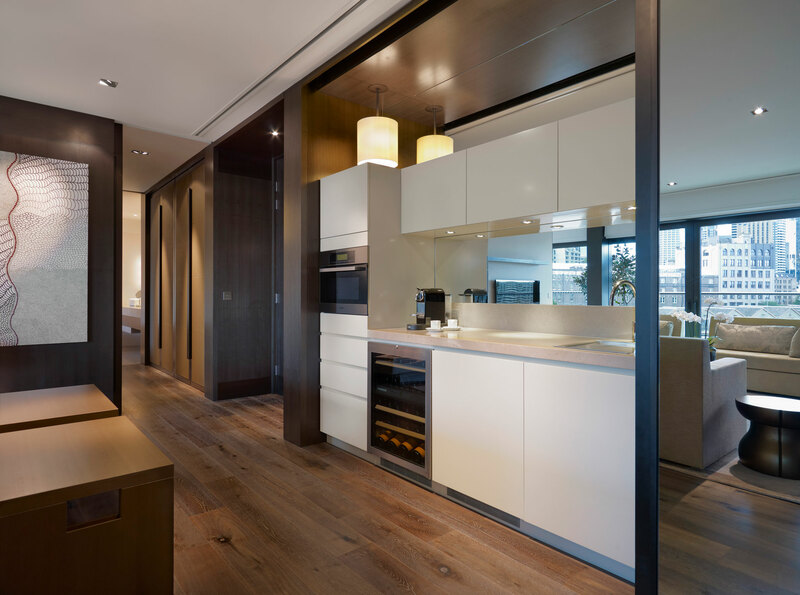 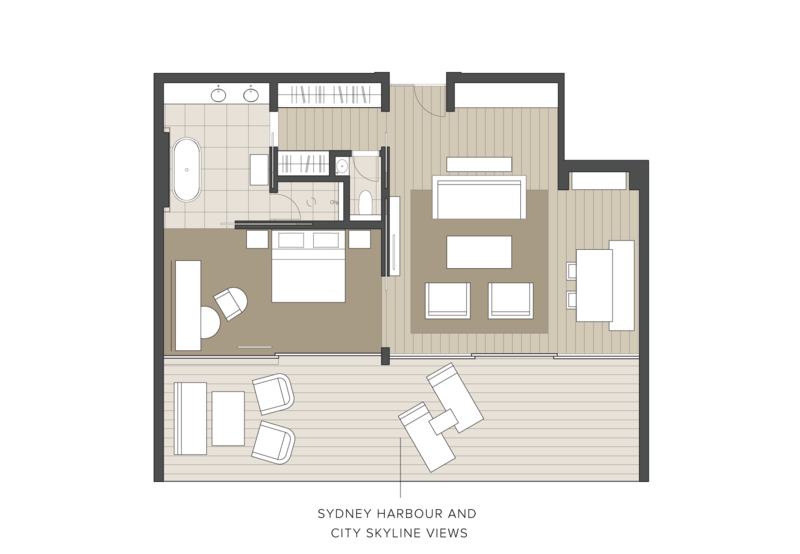 This loft-inspired suite features one bedroom, a stylish living space with dining area and a kitchenette. 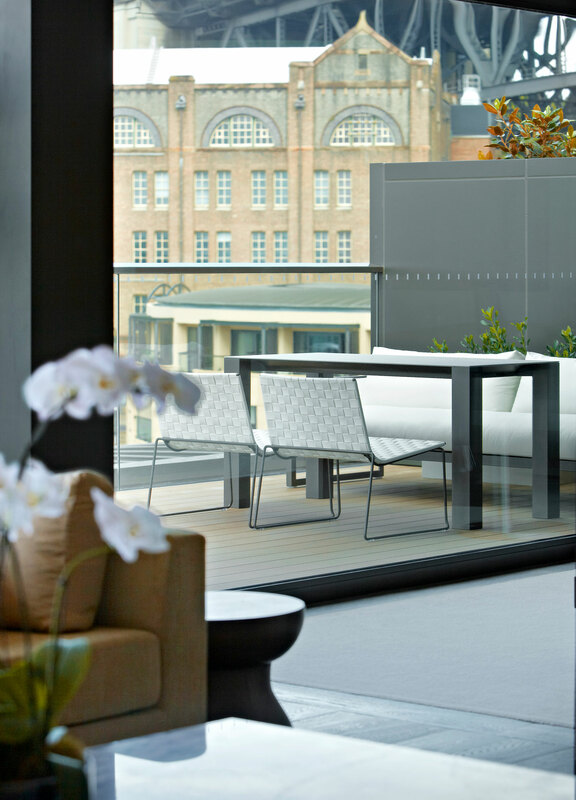 Ultra-modern and sleek, these rooftop suites offer uninterrupted views of Sydney Harbour and the city skyline. 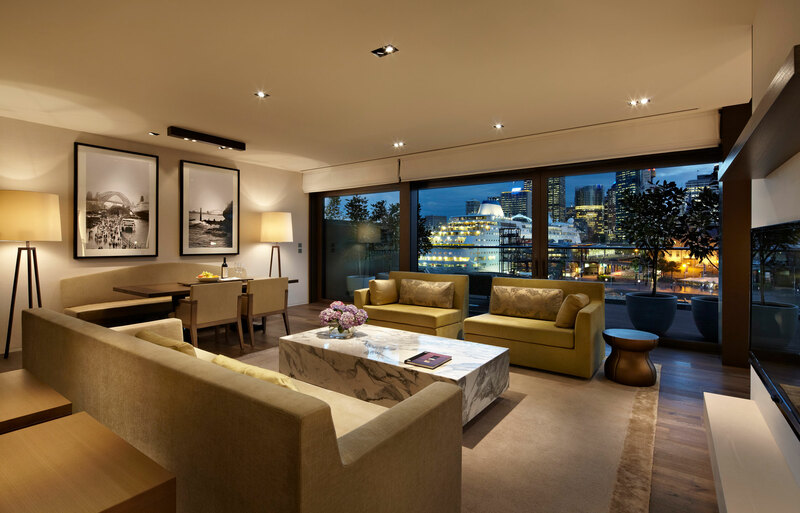 Views of the Sydney Opera House are enjoyed from its spacious private outdoor terrace, complete with hand-picked outdoor furniture and sun lounges.